Is my iPhone a 64GB model? I just got my iPhone replaced as the home button had become somewhat of a nightmare as it only worked about 50% of the time! The friendly people at the Apple Store on Regent’s Street replaced it without issue. 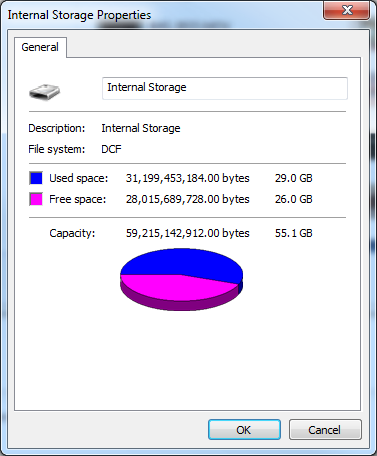 When I got home, I plugged it into my PC and Windows told me me there was quite a lot of space available, with a total capacity of 55GB. But when I look at the iPhone settings, it tells me a different story. Is it possible that my phone actually has 64GB in storage, but that iOS is only giving me 32GB? ← Trying some online advertising!